The Minnesota Vikings got out to a hot start on Thanksgiving Day against the Detroit Lions, scoring two first quarter touchdowns for an early 13-0 lead. 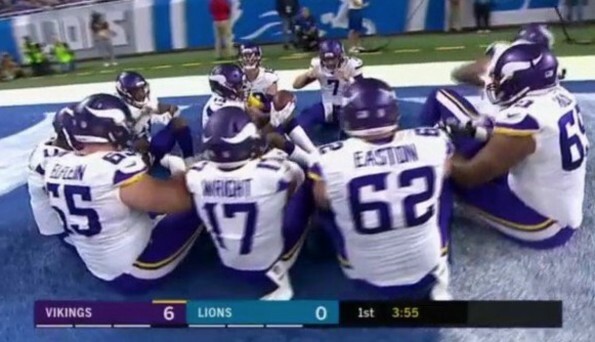 And they celebrated the second of those touchdowns—a Case Keenum 9-yard run—by sitting around and having themselves a mock-Thanksgiving Day feast. I’m thankful for that touchdown celebration. Well done, Vikings.